There was a time when you’d walk into a friend’s bathroom and see the same sink you had in your bathroom, which was also the same sink your sister had in her house, which was also the same sink you’d find in your uncle’s house. 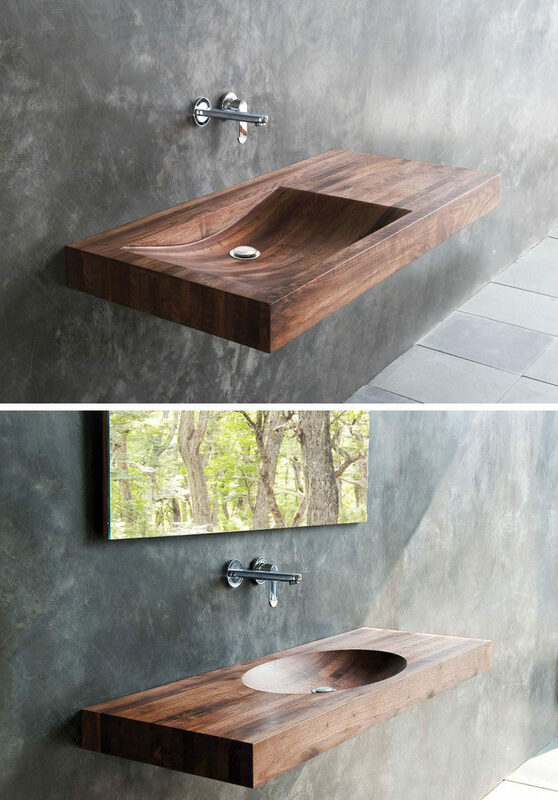 Now, however, every bathroom seems to have a sink with some unique detail, be it the material it’s made from, the color it is, or the shape it’s in. 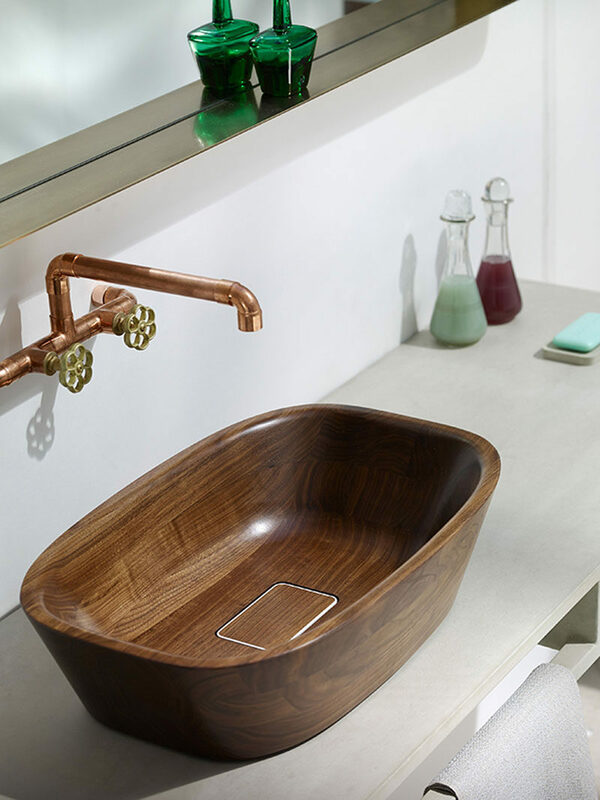 While it’s fairly common to find porcelain, glass, copper or even stone sinks, one material you don’t see very often is wood. 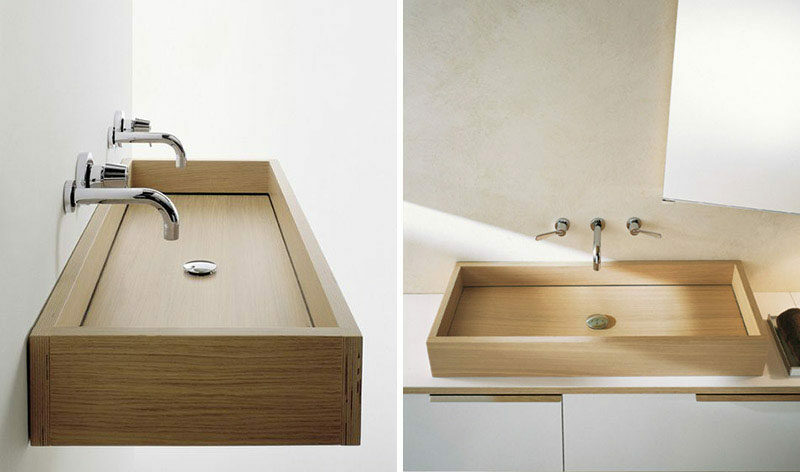 Woodline sink designed by Benedini Associati for Agape. 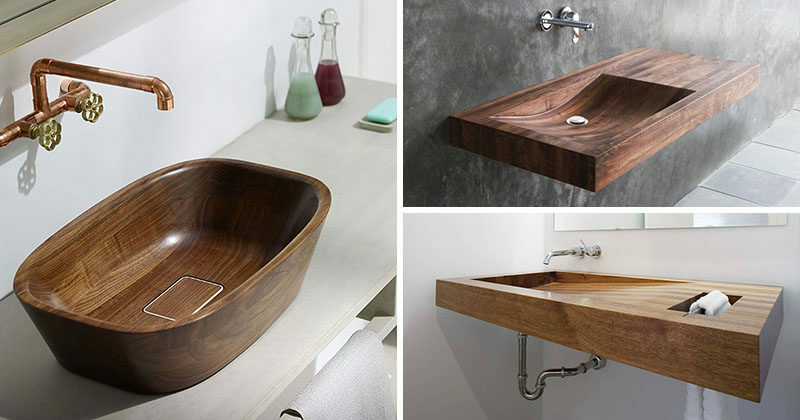 One of the best qualities about wood sinks is their customizable nature. Not only do they come in a wide range of types of wood, each one can be finished in a number of ways to create a unique look every time. 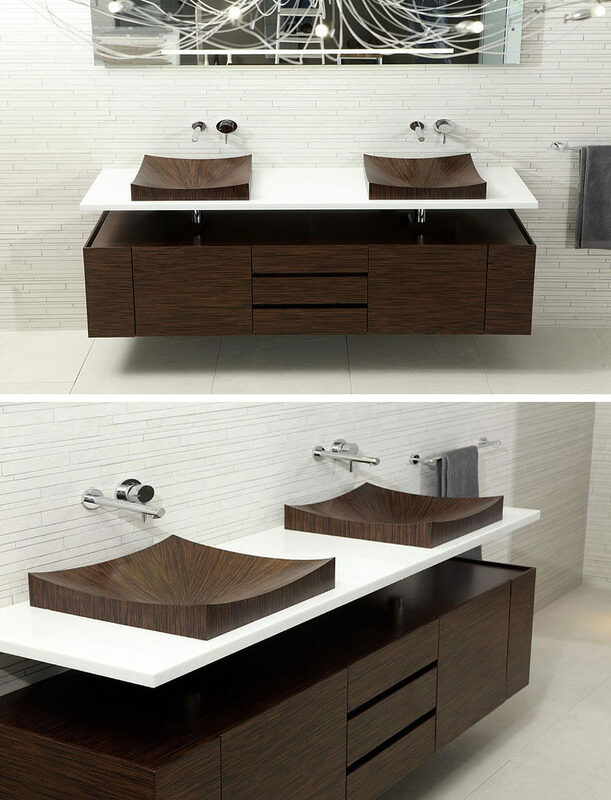 They can also be shaped, cut, or designed in custom ways to create a sink that meets all of your needs. Inspiration from a house designed by Hufft Projects. 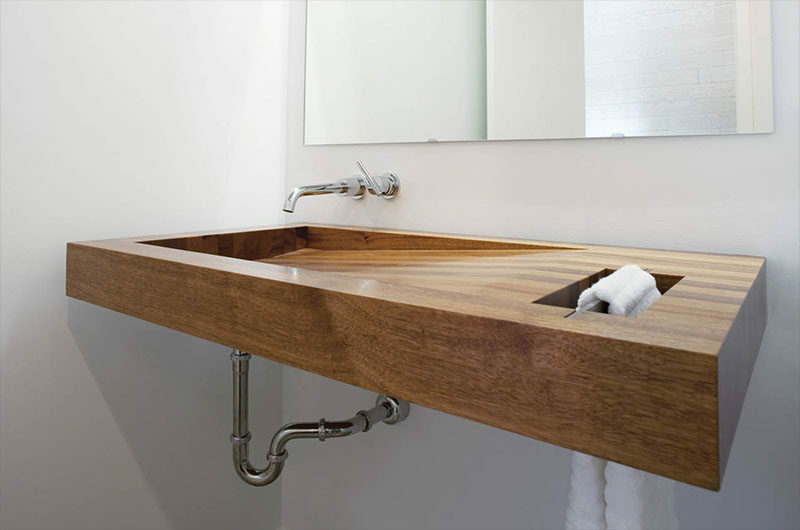 Much like other sink types, wood sinks can also accommodate a range of drain types. 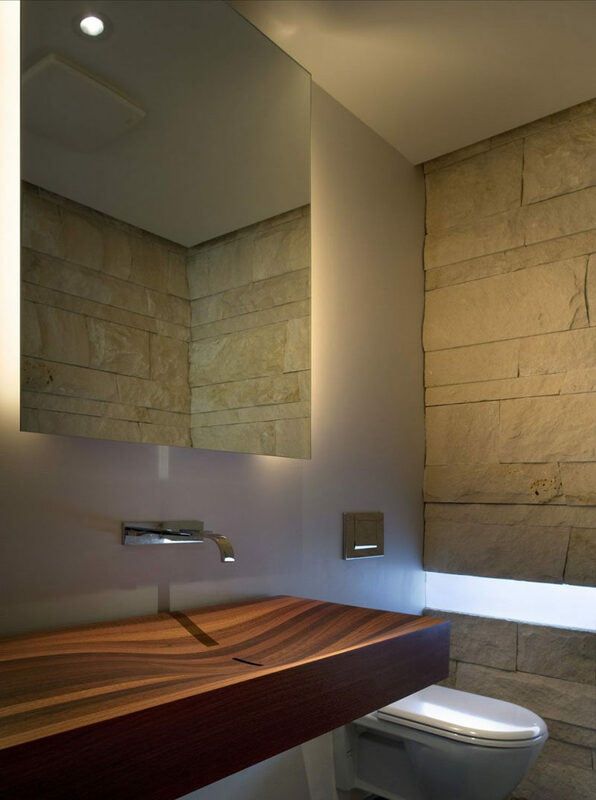 From grid drains, to pop up drains, to infinity drains and completely custom drains, wood sinks allow you the freedom to create the sink of your dreams. 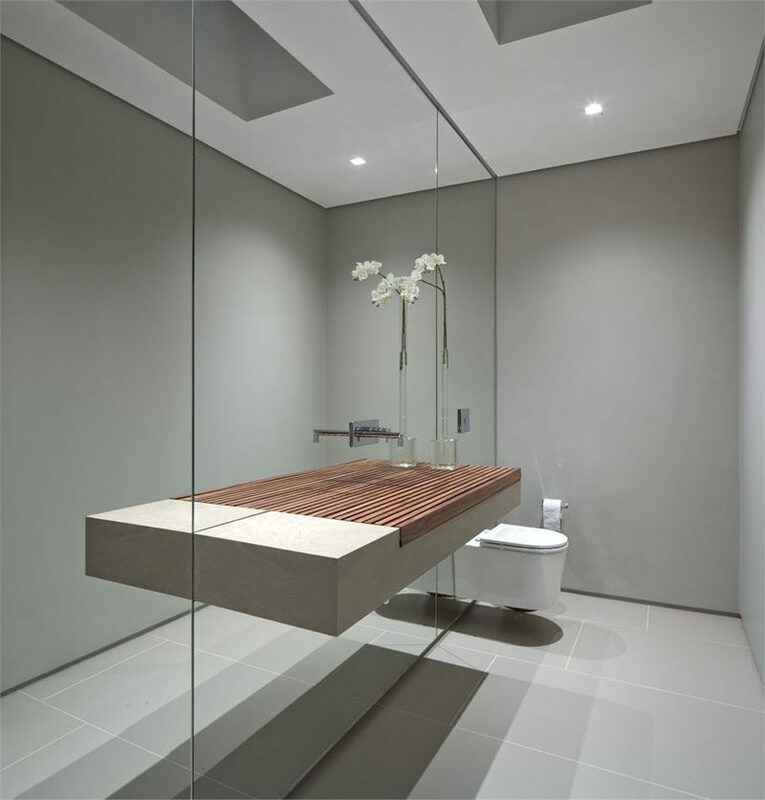 Although they’re more work to maintain, in that they require polishing a few times a year, the natural warmth and beauty they bring to your bathroom is well worth the few minutes spent polishing. 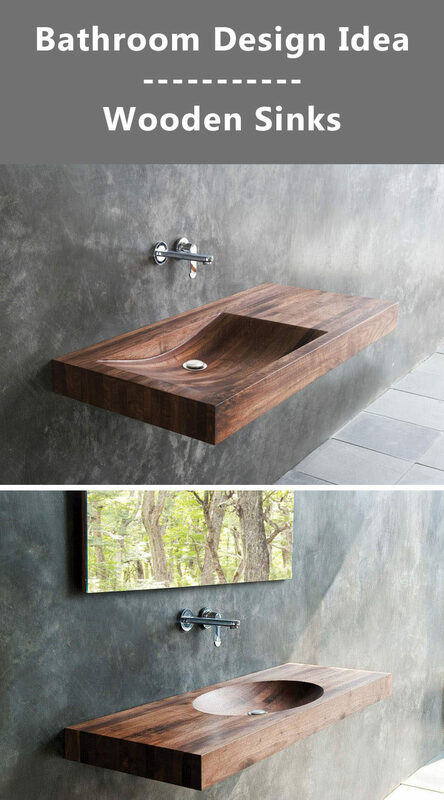 They’re also a great sink option if you’re looking to create a more spa-like atmosphere in your bathroom. The soft curves of the wood and the warm tones they bring in create a feeling of relaxed luxury – exactly what you want when you go to the spa. 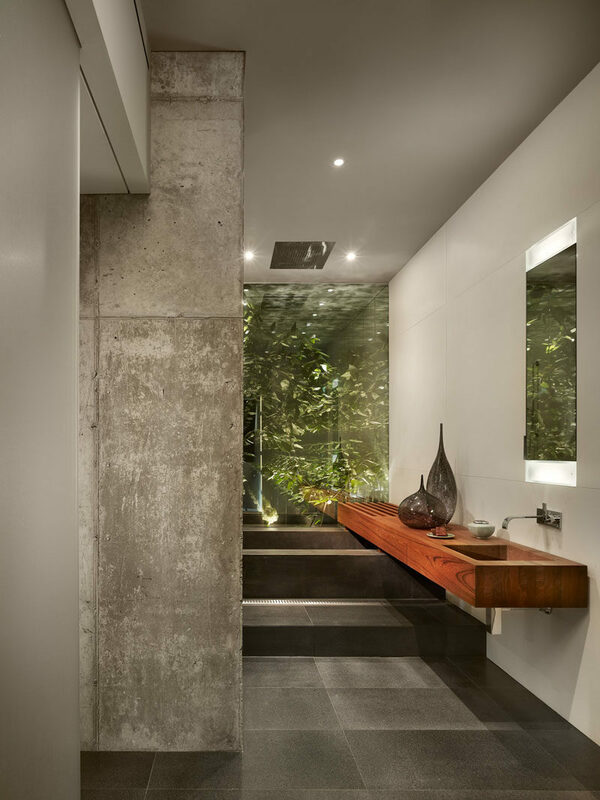 Inspiration from a home designed by Studio Arthur Casas. Photography by Fernando Guerra – FG+SG. Inspiration from a home designed by Arch11. Inspiration from a penthouse designed by Verner Architects. Photography by Halkin Mason Photography. Shell Washbasin designed by Nina Mair. Photography by Markus Bstieler.